Visit oman .Drive to Jebel Shams which is Located in the western Hajar. Jebel shams is the highest point in Oman as lies at 3010 meters . The drive takes around 2 hrs to the base of the mountain. Travel via Fanjah, Izki and Nizwa. Stop at Nizwa for a walk through the ancient Capital of Oman . Then Drive to Al Hamra and stop at. Wadi Ghul, from here a 30 minute off road drive takes you into the wadi . When you arrive at the end of the Wadi you will see a village famous for its famous bright colors rugs and designs. continue to Jebel Shams, the highest peak in Oman at 3000 meters. Visit the local weaver and haggle for their wares. You will stop at misfat on your way Back, Al Abrein, a picturesque village strapped on to the side of a mountain. 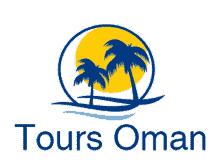 this tours is one of our top ranked tour Among our Muscat Tours .Return To Muscat .